Where to Hide on Mother’s Day | Kids in T.O. Trail on east side of Bluffer’s Beach. I love starting my Mother’s Day with my three favourite people. And they always make me feel special. Breakfast is in the works and a homemade card and thoughtful gift are always waiting for me when I emerge. But when it comes to how I spend the rest of Mother’s Day — well, my next request is to simply get out of the house – alone. Yep, I want to ditch the mom-thing for a bit. I’m craving some peace and quiet. I want to blend in where there are no kids in TOw. I want to hang with some girlfriends. I want to just be me. Just walk away: Moms, you deserve more than a loop around the block. I love walking at adult (not kid) speed – it’s guaranteed to clear a mom’s mind. Destination? 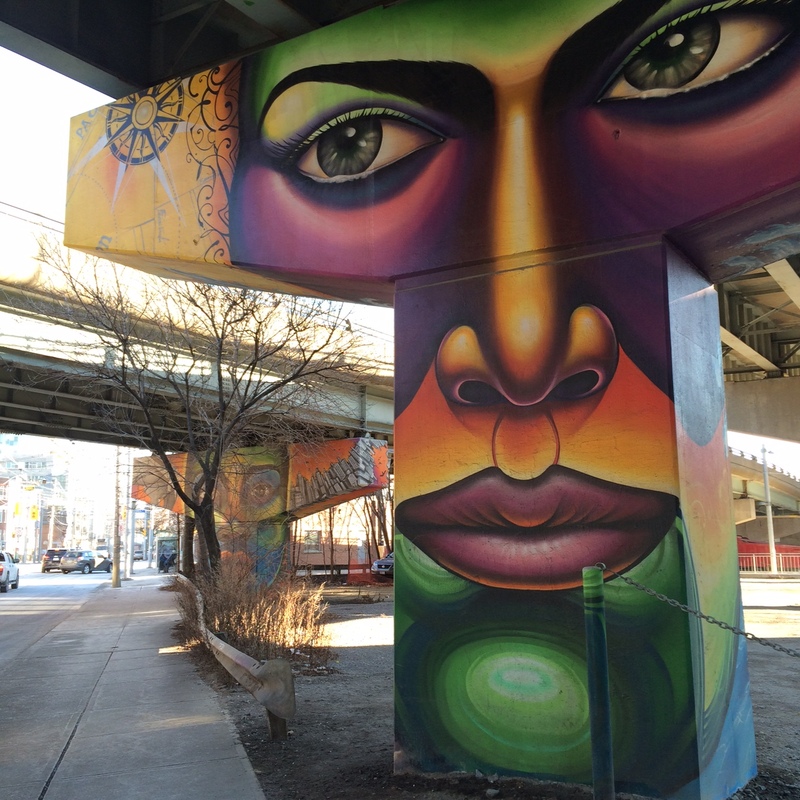 Hide in an alley (Graffiti Alley) or blend in with some civic-minded citizens on a Jane’s Walk. How about this one: Women, Work and Activism. Hide in a forest: Take a book. Find a tree. Beautiful green spaces are hidden all across the city. 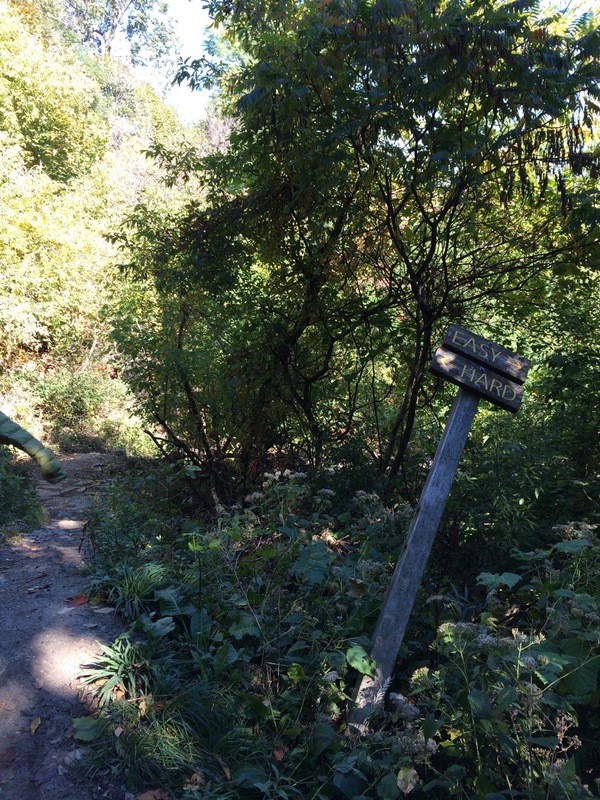 On the east side, you’ll discover quiet in the easy-walking trails of the Glen Stewart Ravine; midtown, a few hills, great views and the odd mountain biker in Crothers Woods (pictured here); northwest, an urban forest at the Humber Aborteum. Be a beach bum: While the Beach’s Boardwalk is beautiful, it can get busy. 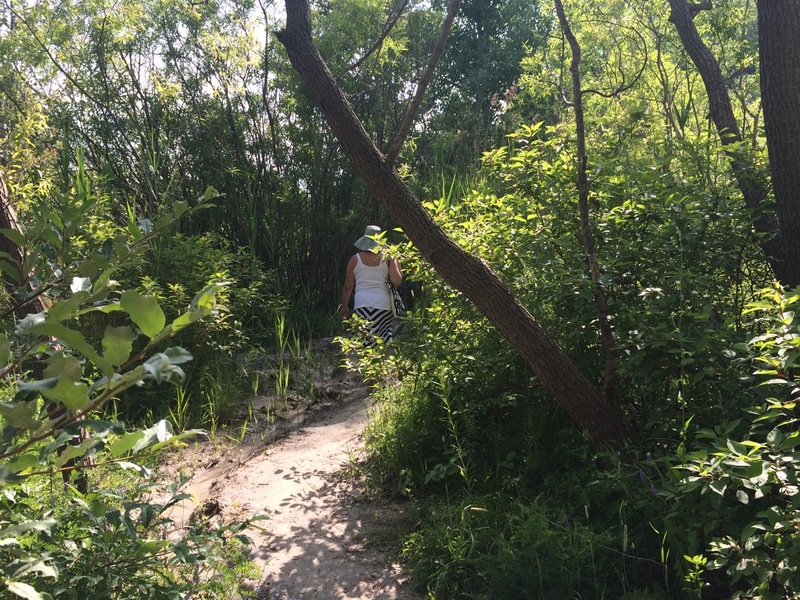 Find a more peaceful vista from the far east end of Bluffer’s Beach in Scarborough (pictured above) or take in a tranquil view of downtown from the tip of The Spit in Leslieville. For a more urban experience, jump on your bike along the new Queen’s Quay Bike path and sink you toes into the white sand at Sugar Beach. The view outside Body Blitz on Queen St. E.
Spa it: No doubt the city’s spas will be hopping on Mother’s Day but be comforted knowing you’ll be among women seeking the same peace and relaxation as you. Top pick: Body Blitz for its two women-only therapeutic waters experience. Get out of town: Gather some mamas and make it a day trip. Join a ‘Grape Escape’ bike tour of Niagara wineries. When wined out, stop at Oast House Brewery. Or go north for epic calmness (talking is discouraged) at Scandinave Spa at Blue Mountain. Where is your favourite place to hide?